My wife and I (his grandparents) raised him as our own son until the third grade. His birth dad has never been a part of his life. 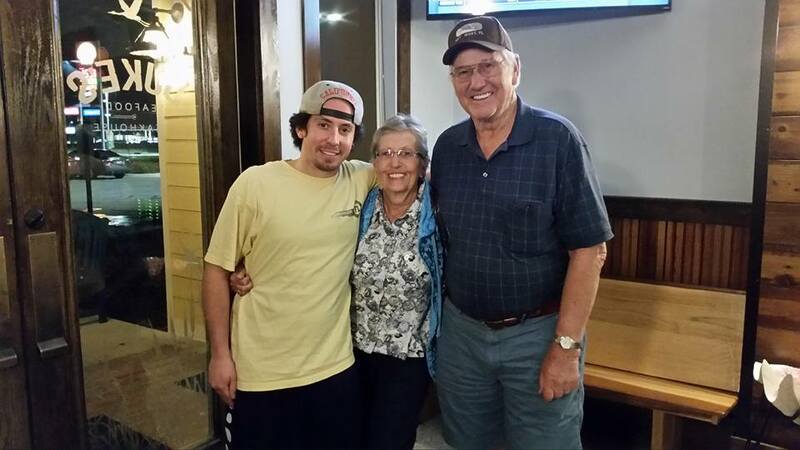 Our grandson eventually moved in with his mother, our daughter, but still spent a great deal of time with us. Sometime during middle school his behavior began to change. Never having had experience with someone involved with drug use, we never suspected that he was self-medicating with an over-the-counter cough and cold medicine that was easy to obtain in large quantities. It was not until he got expelled from boarding school twice and ran away to California that we realized the seriousness of his addiction. Struggling to find a way to help him, we alternately tried sending him to several of the standard 30 day rehabilitation programs, leaving him on his own homeless in a large city, and letting him live with us while attempting to oversee his behavior. None of those approaches worked. We came to the conclusion that in order for him to successfully overcome his addiction he would need a longer period of time under supervision than the usual 1 month program. We spent several days doing research on the program and spoke with several family members who had loved ones graduate from the program. The families all gave very positive reports on the progress made as a result of their loved one attending the program. We finally made the decision to enroll him at Narconon. It is the best money we ever spent!! 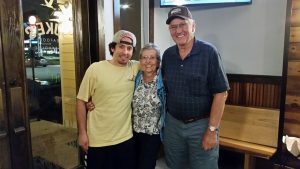 The time our grandson was enrolled in the Narconon program changed his life forever. He has now passed his one-year anniversary of being clean and sober, an accomplishment that a couple of years ago would have seemed like a fairy tale. We are so grateful for the counselors and staff at Narconon who guided, counseled and mentored our grandson. He did not immediately buy into the routine they set up for him, but once he started feeling better and seeing the positive results he enthusiastically endorsed their approach. Narconon’s philosophy is that addiction is a disease that can be healed, and one does not have to live the rest of his/her life labeled as an “addict.” Our grandson has had his life returned to him enabling him to look forward to his future, something he once viewed as a hopeless prospect. Words can’t express how grateful we are! !